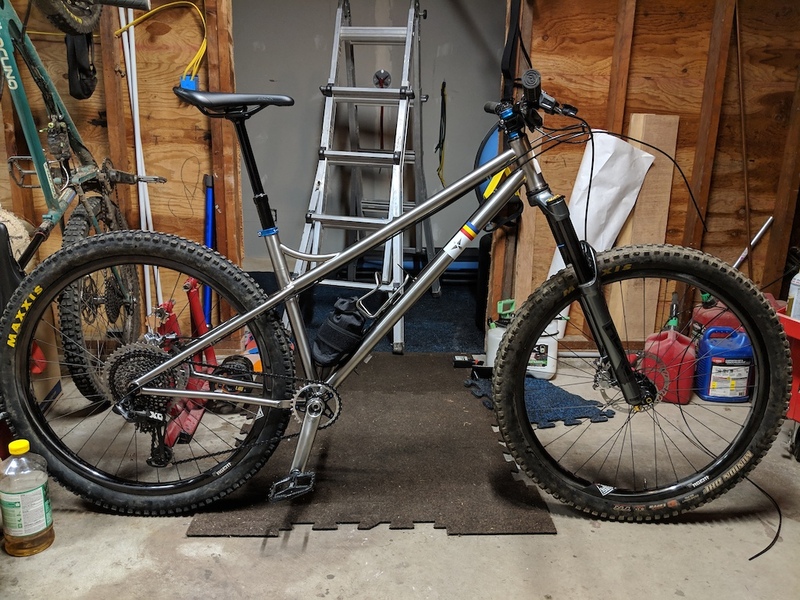 I keep thinking about swapping to a Surface, but actually can't bring myself to replace the samurai65 with a 29'er because I love how quick handling and responsive it is, so agile. I am 6'2" and have gone back to 27.5 for all the reasons above. The HTA can be slacked without sacrificing wheelbase and the loss of "roll over everything" I gladly give up for the stiffer hoops. 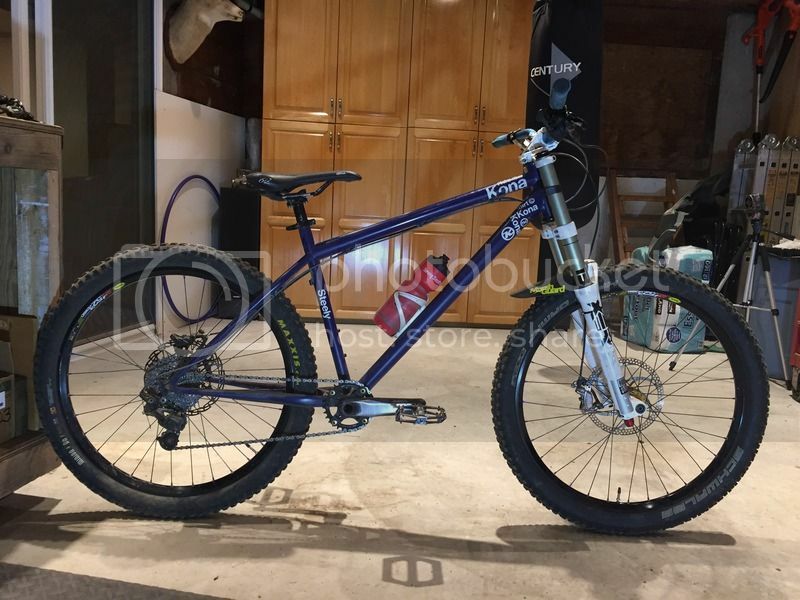 My 29er hardtail has derby carbon rims laced to king hubs and my new 27.5 has hopes and flow MK3's and the smaller diameter wheels feel so much sure footed when doing anything on one wheel or railing a turn hard. 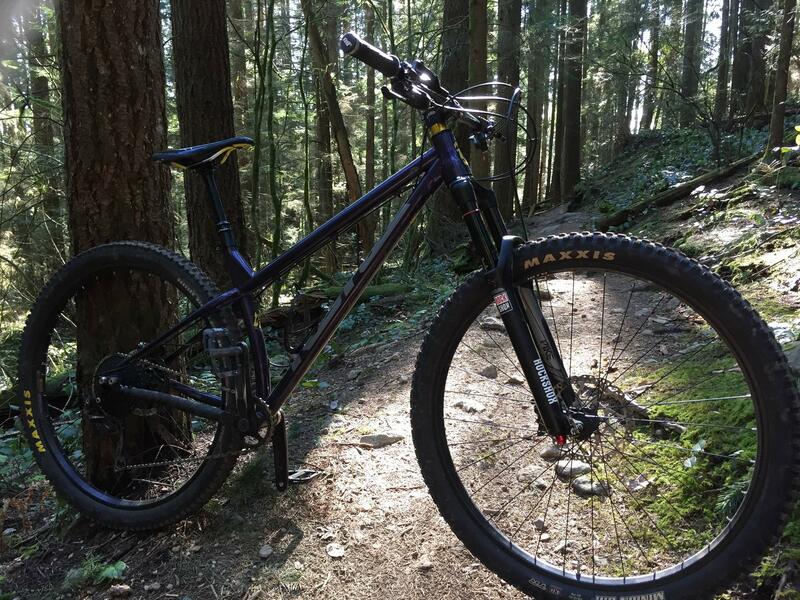 I'll keep the 29er for long days and more mellow rides but I think the 27.5 will be my regular North Shore/Squamish rig. Does anyone know of a L Rootdown frame hanging in a shop in the lower mainland - 2019 (2018 no good)? I ordered mine from Kinetik. Emailed a cc deposit jan 8th and the frame was in their shop Jan 10th. So it wasn't technically in stock but you can't get an order much faster than that. I might have gotten a little lucky in terms of chromag having stock, but regardless my experience is both Kinetik and chromag are super on the ball. Highly recommended. March 8, 2019, 11:45 a.m. I think if I get a 29r hardtail it will be carbon, xc oriented, and hopefully really light. I bet you could get a Transition Vanquish for cheap. Last edited by: craw on March 8, 2019, 3 p.m., edited 1 time in total. Thanks - Kinetik are within rock chucking distance, so i definitely gave them a bell. Chromag (my first call) doesn't have stock of Rootdowns right now, so I'm leaning towards a Primer. I can get that painted and in my hands mid april. March 18, 2019, 11:34 p.m.
Decided I needed to give it a try with a 140mm fork, so I bought RAHriders Pike. It's a great change. I can still climb up all the switchbacks on GSM, which I've decided is my guideline. It doesn't feel like it wanders anymore to me, the only other change I made was sliding my seat to offset SA change. It does feel a little more floppy at inchworm speeds, having slackened 1deg and 7mm of offset but Isn't a serious detriment. Its just the only negative I can notice. The extra bit of travel really gives it confidence. I was always weary of jumps that land into rooty sections and imperfect transitions with 120mm, but it feels much more grounded. That extra bit of travel really feels like it has more to give. Glad I swapped it. I'd defiantly recommend anyone building a Honzo up to consider 140. Last edited by: FlightlessLobster on March 18, 2019, 11:45 p.m., edited 2 times in total. March 25, 2019, 10:46 a.m.
Nearly finished building this beauty. First ride will be on a road trip to Moab for a week. Custom Corvid Dirtsurfer frame. 490mm reach, 450mm seat tube, 65deg head angle at 20% sag, 160mm travel Cane Creek Helm, We Are One Agent rims laced to Hope hubs, plus some more spangly bits. March 25, 2019, 2:36 p.m.
Wow! Nice ride man. Did you get the cane Creek Ti cranks too? Sweet ride. You will have to let us know your first impressions.